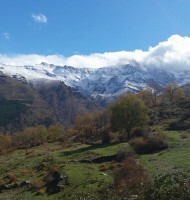 The Sierra Nevada in Granada (Spain) is the southernmost alpine mountain range in Europe. Its peaks, of over 3,000m, are covered in snow for more than seven months of the year. 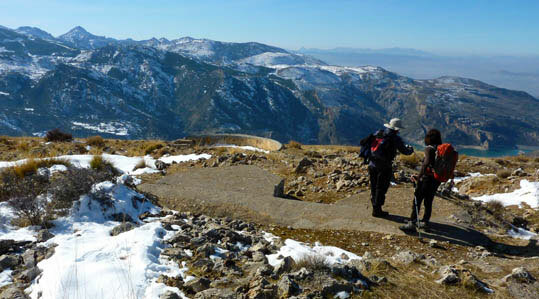 However, its Mediterranean climate makes the range habitable up to 1,700m and perfect for hiking. 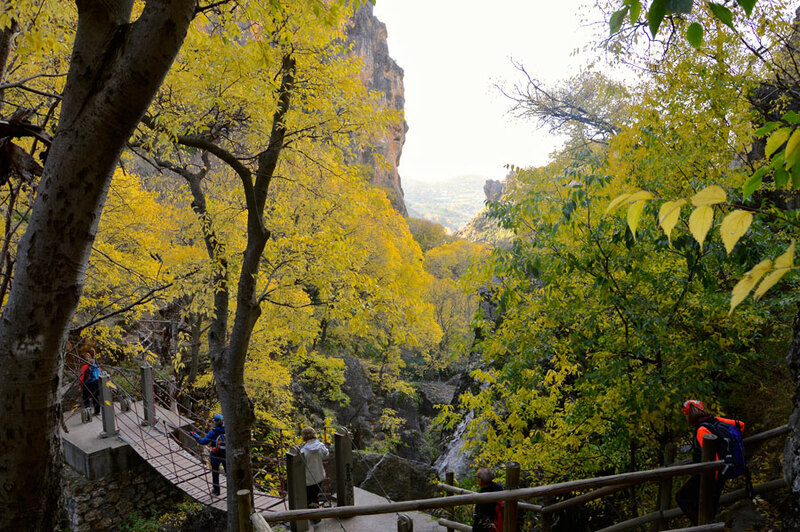 The middle mountain area (1,000-2,000m) is where the best forests can be found, as well as the best views of the snowy peaks and a network of traditional footpaths, which allow us to discover traditional villages and deep valleys. 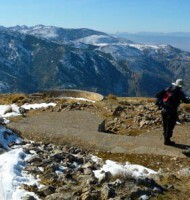 Walk along high mountain paths with incredible views of the line of snowy peaks. 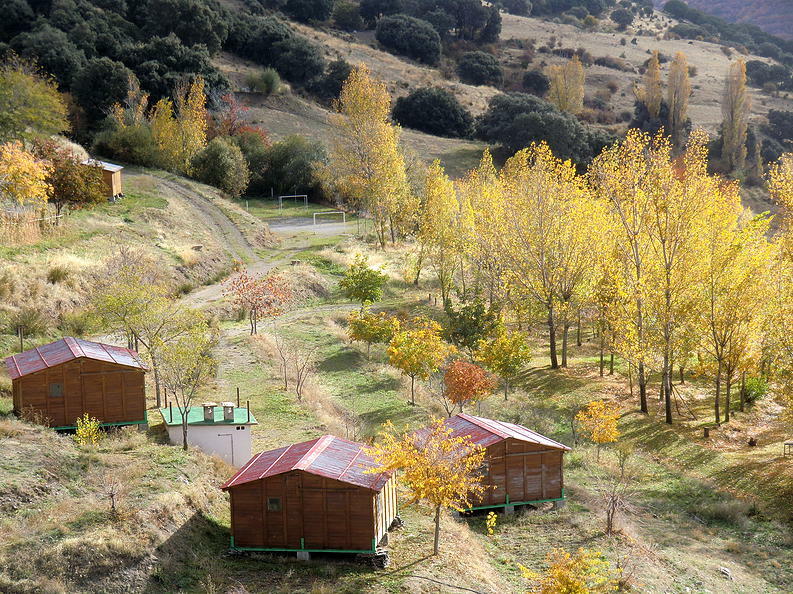 Discover the best forests of the Sierra Nevada, with a wide variety of evergreen and deciduous trees. Enjoy the star-filled skies from mountain refuges, where you will experience a real mountain atmosphere. 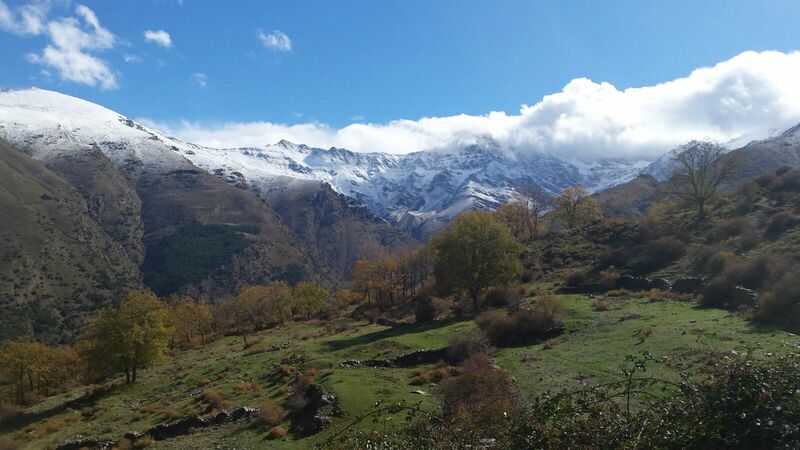 Get to know the picturesque mountain village of Güéjar Sierra, (1,000m) situated in an incredibly beautiful valley and sample its fresh, natural produce and products. 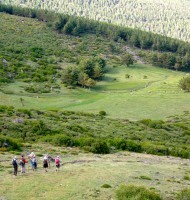 Hikers will meet each other and share a dinner prepared with fresh produce from the farm and the village. After breakfast, we will set off on our first hike which will take us to the highest point of this area “el Calar”, at 1,880m. The views of the Sierra Nevada are incredible. The area is also historically important for locals as it was a frontier area for the two sides in the Civil War. We will find a lot of perfectly preserved bunkers from this period. Return to our starting point to have dinner and sleep. 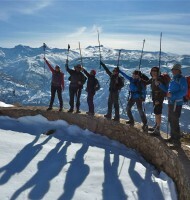 After breakfast we will set off on our hike, walking along one of the most emblematic trails of the Sierra Nevada. 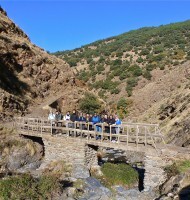 This track was constructed in 1890 to allow for the mining of galena and pyrite from the mines called “La Vereda de La Estrella“. This is classic Sierra Nevada, especially in autumn and spring. While walking through this steep valley you will be met by stunning scenery with the north faces of the three highest peaks of the mountain range in front of you. We will have our picnic during the hike. 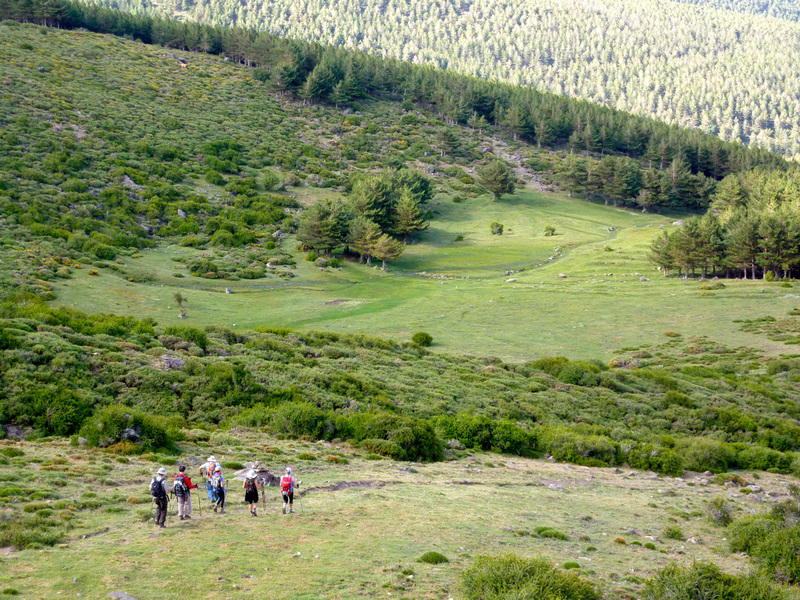 When we finish walking, a bus will take us to the nearby Güejar Sierra and enjoy tapas for dinner in the local bars. 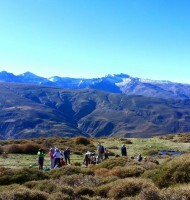 After breakfast we will begin our hike, which will take us over the mountain range and down to the region of Marquesado. 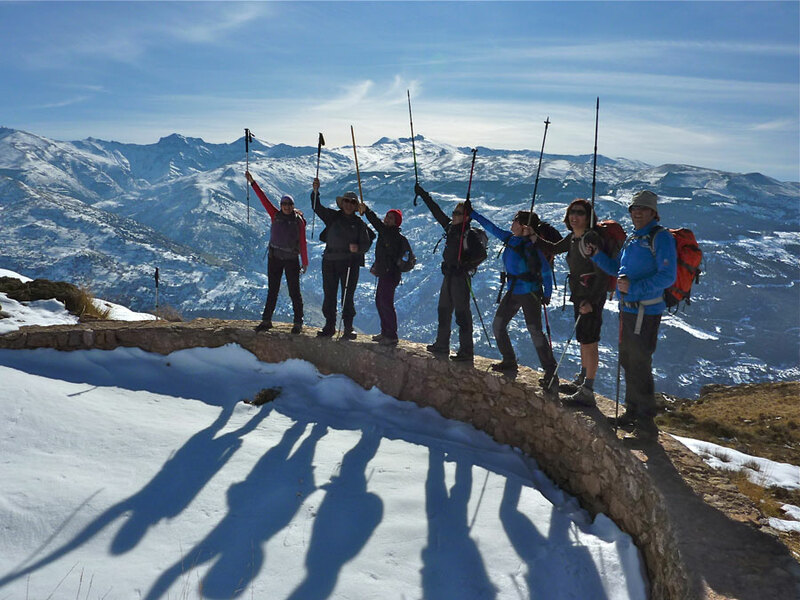 We will continue to enjoy unbeatable views of the Sierra Nevada throughout the hike and also the most well preserved native forest of the National Park, in Dehesa de Camarate. 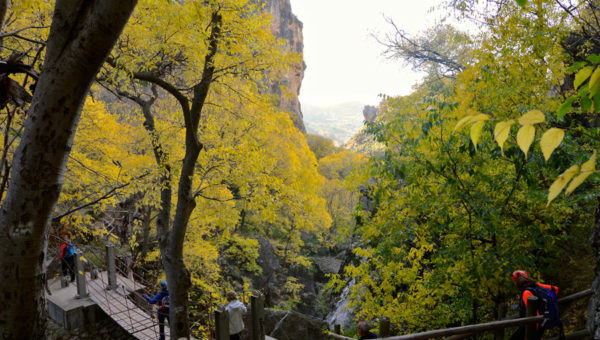 Moving over to the other side of the mountain range will allow us to explore different types of vegetation and we will finish the hike walking through pine forests. After breakfast and depending on the departure time of the flights we will leave for Malaga airport. 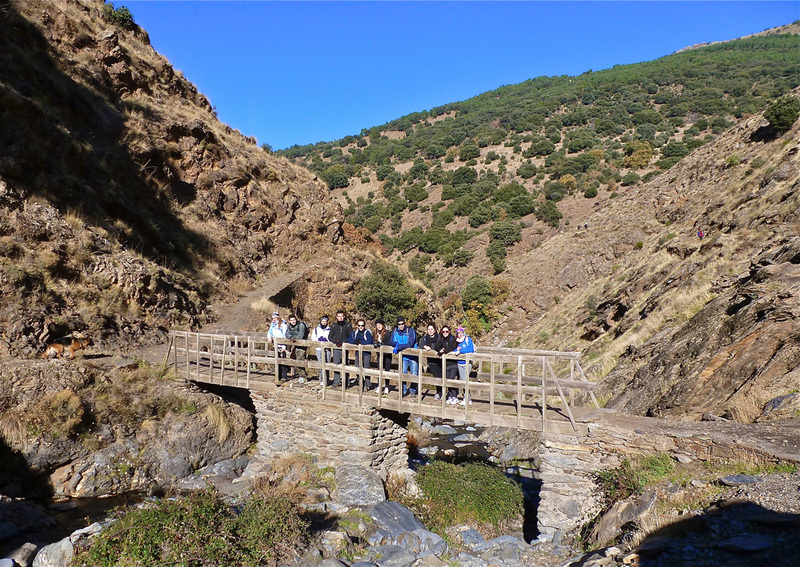 During our stay, we will have views of both the plains and the mountains of the region of Guadix (Granada), the magnificent Calahorra Castle (16th Century) and we will cross the Sierra de Huétor Natural Park. Drinks and tapas in Güéjar Sierra. Hiking footwear; boots or shoes. Mountain clothing, short- sleeved and long-sleeved t-shirts made of breathable fabric (not cotton) and a fleece or warm layer. Hiking trousers and jacket made of Gore-Tex or a similar fabric to act as a raincoat and wind stopper. 5 litre water bottle or camelbak, with drinking tube if possible. Small washbag. Include only the absolute necessities and in extremely small quantities. Sleeping bags (5º-10ºC comfort temperature). Your own pillowcase is recommended. Lightweight clothes for sleeping. We will leave the refuge at 8am. 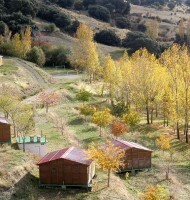 In Andalusia, the weather in spring is very unpredictable. 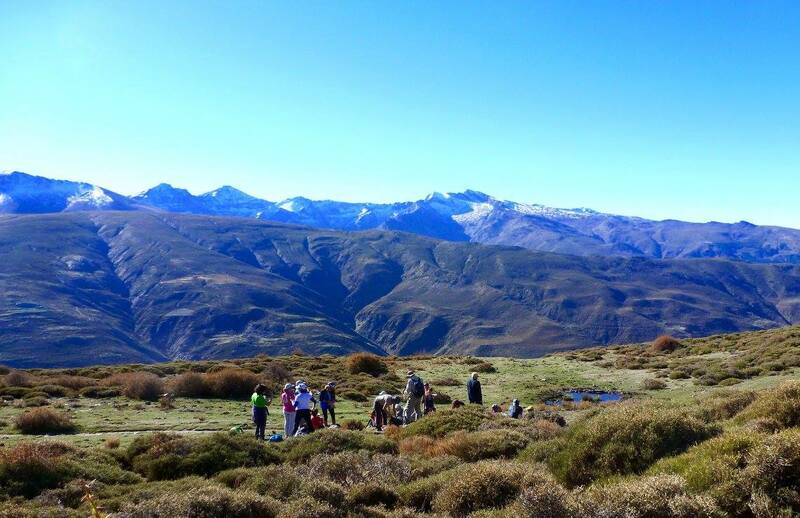 We will hike and stay in an area near 2000m height, so we can have temperatures around 10º C – 15ºC. Any storms tend to pass quickly and the majority of the days are sunny.